Customers at De’Divine Cafe sometimes laugh when their eyes catch the sign that reads, “Where Gods Come to Eat”. It might sound a little over the top, but this homely cafe is about more than just creating delicious flavours and textures. The sign is a reminder to customers that because of their patronage the establishment can provide culinary training to marginalised youth – mostly girls and young women – from the fringes of society. “We see cooking as a life skill for these girls, bringing about personal transformation,” says Devasharma Gangadaran, the 33-year-old chief executive officer of the MySkills Foundation, which runs the cafe. The foundation offers a host of programmes focused on areas such as medical knowledge, drug awareness, tailoring and sport. Its aim is to teach essential skills to “at-risk youth” and in turn help them find work and live independent lives. The MySkills Foundation reaches out to children who drop out or are expelled from school – particularly among the Indian community, which has an above-average drop-out rate and experiences lower social mobility. The hope is that by reaching these former students they can keep them safe and away from crime. Established in 2017, De’Divine Cafe is run as a social enterprise and learning institute. At the cafe, the children learn vocational skills, including cooking and baking. Many of the participants, who are aged between 13 and 19, arrive at the space without any culinary knowledge or skills. 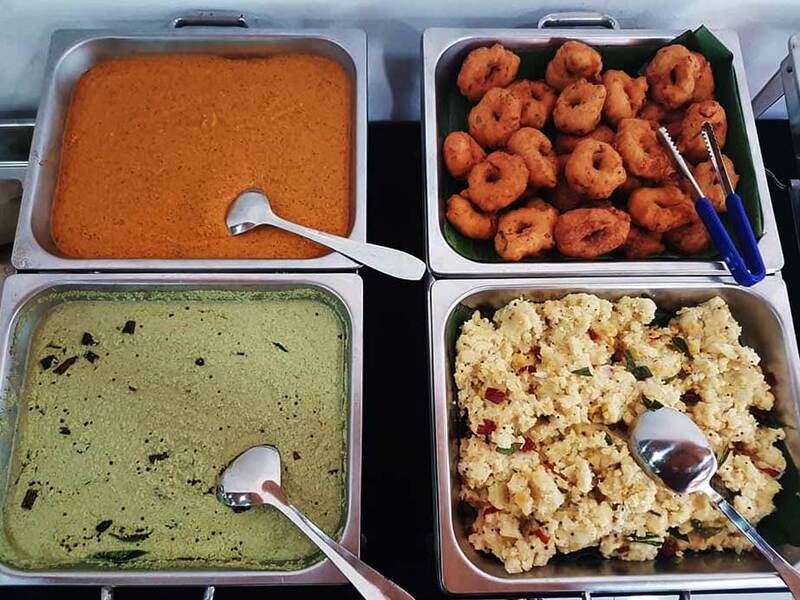 They learn the basics from Muthamil Chelvandey, a pastry chef who has volunteered his time and expertise at De’Divine since its opening, and those who are at least 15 also get the chance to work in the cafe. The girls are given a stipend, and the foundation also provides them with meals and accommodation. But De’Divine Cafe is about more than just cooking. Devasharma says the trainees, of whom there are presently 10, also learn self-discipline, integrity and grit. “These are as important as vocational skills, or even more important,” he says. To remind the trainees that cooking goes beyond making food, a notice hangs prominently above the wok in the kitchen that says “When You Cook, Share”. Devasharma explains that just as the burden of cooking is shared, so are the joys and benefits. Young as they are, the trainees are responsible for managing the inventory, cleanliness, punctuality – even the cash register, under the supervision of staff and volunteers. The cafe is a homely place, with simple chairs and tables against walls decorated with inspirational sayings. If you look carefully, the kitchen’s frosted glass walls carry the portraits and stories of its students. De’Divine Cafe’s menu is compact and features much-loved Malaysian dishes that help to tell the stories of some of the trainees. For example, its popular nasi lemak (coconut rice with condiments) is paired with chicken paratel. The addition of this robust, spicy chicken dish hints at the cook’s story: the girls grew up in Indian homes, and this dish is a home favourite served on happy occasions. Given that the staff are teenagers, it’s probably not surprising that ice-blended drinks are popular. 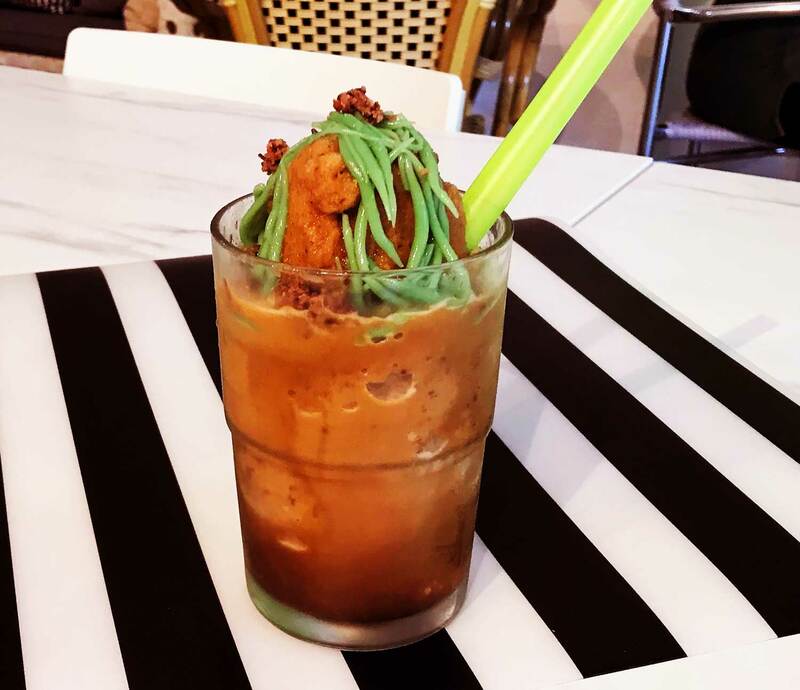 The girls have even transformed the shaved ice dessert cendol into an ice-blended version in a tall glass. 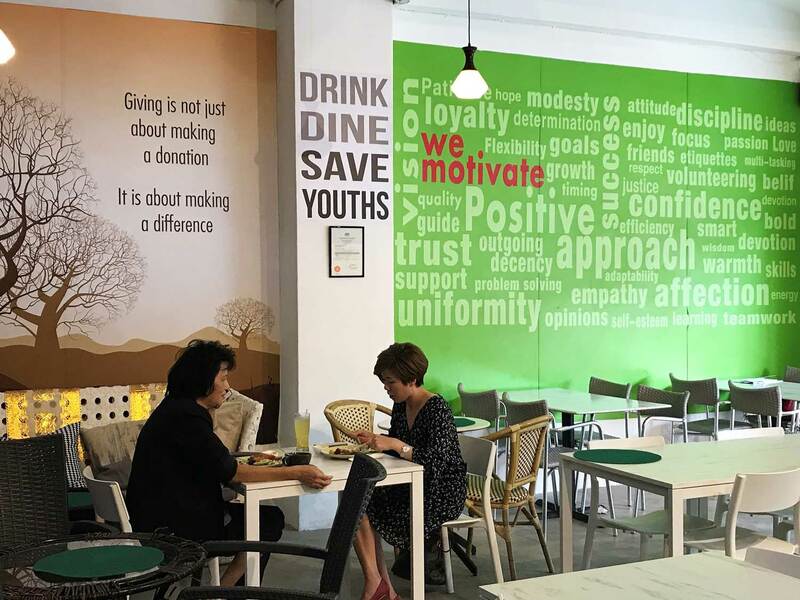 The food and plating have yet to earn the sleek sheen of some chic cafes but De’Divine Cafe’s customers tend to be generous as they know that the food is prepared by teenagers trying to improve their lives. Several trainees have since found work in professional kitchens. The trainees are girls with the exception of one young man who is autistic. He is given the opportunity to work in a pastry kitchen with a salary that he never even dreamed of. Yogavelli Murali, 17, learned some basic cooking skills from her mother, who passed away shortly before she joined the culinary course. Yogavelli struggled badly in school and was on the verge of dropping out when a teacher told her about MySkills Foundation and helped her to join the culinary course. At first, she found it difficult to learn so many new tasks but says she now has the hang of it and even wants to pursue cooking as a career. Even if Yogavelli doesn’t become a chef, she says she’s happy that she’ll always know how to cook for herself and her family. She has already started trying out new recipes on her family whenever she gets the chance to visit them. “Having such skills gives them dignity and self-respect,” says Devasharma. Find out more about De’Divine Cafe here.